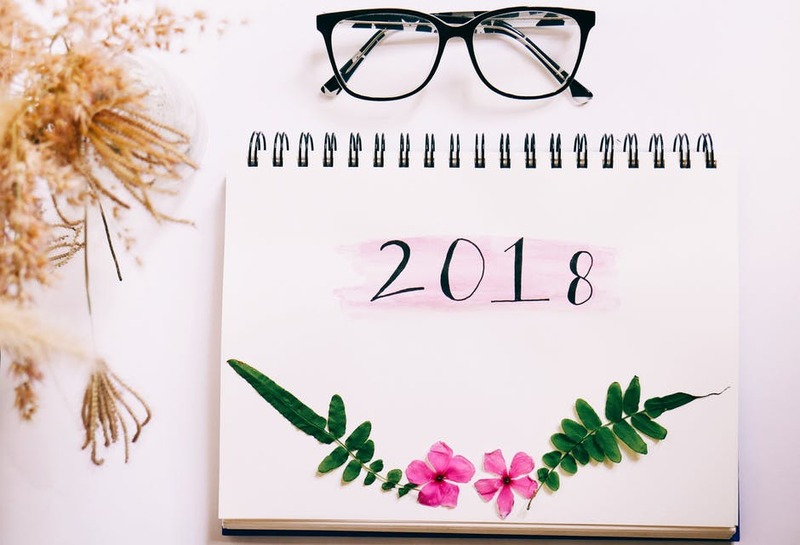 At the beginning of 2018 I made a list of Bookish Goals. One of my overall goals for the year is to actually accomplish some things I want to do instead of just talking about how much I want to do them. I've been fairly successful on the non-bookish front but I felt like a check in was needed over here in book land. 1. Read 200 Books - I'd been keeping my goal lower for the last few years but I thought it might be fun to challenge myself a bit since I haven't read 200 books in a year since before the Tornado was born (he's 8 now). I'm a little behind at only 40 read so far but I've got a few in work and I think I'll catch up. 2. Complete the Modern Mrs. Darcy 2018 Reading Challenge - Honestly I haven't even looked at this since the beginning of January so I have no idea how I'm doing. I need to catch up here. 3. 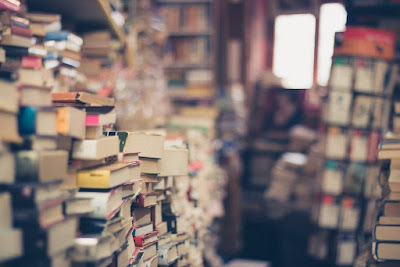 Create some kind of system for incoming books - I actually had done this but we're kind of playing musical rooms right now so stuff has gotten shoved around and my system was kind of wrecked. However, when things get a little more settled I know how to set it up again. 4. Read more nonfiction - I've read four nonfiction books so far so I think this one is going pretty well. 5. Focus on reading my own books - Seriously mixed results here. I've read 2 books off my own shelves which is good but there's still so many more to go. 6. Keep an eye out for independent bookstores - I haven't but I didn't expect to at this point. We usually don't do any travelling until spring/summer. We have a few weekend trips planned in the next month or so and I'm making a list of bookstores in the area. 7. Make progress on a series I've neglected - I'm doing okay here. I've started a few series that I've been really wanting to read and 7 new books in series that I started in previous years. 8. 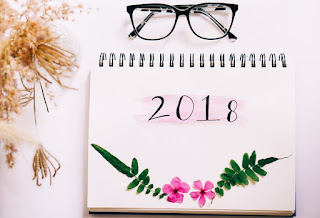 Participate in at least one readathon - Big nope here but I have hopes for later in the year. 9. Spend some time using one of my coloring books while listening to an audio book - Also a big nope but I still have hope I'm going to be able to work this into my routine. 10. Try out some new cookbooks - I'd been ignoring my cookbooks for quite some time but in the last little while I pulled out the most recent Pioneer Woman cookbook that I had preordered but completely ignored and have started using it. I also cleaned out a number that I'm just not using. 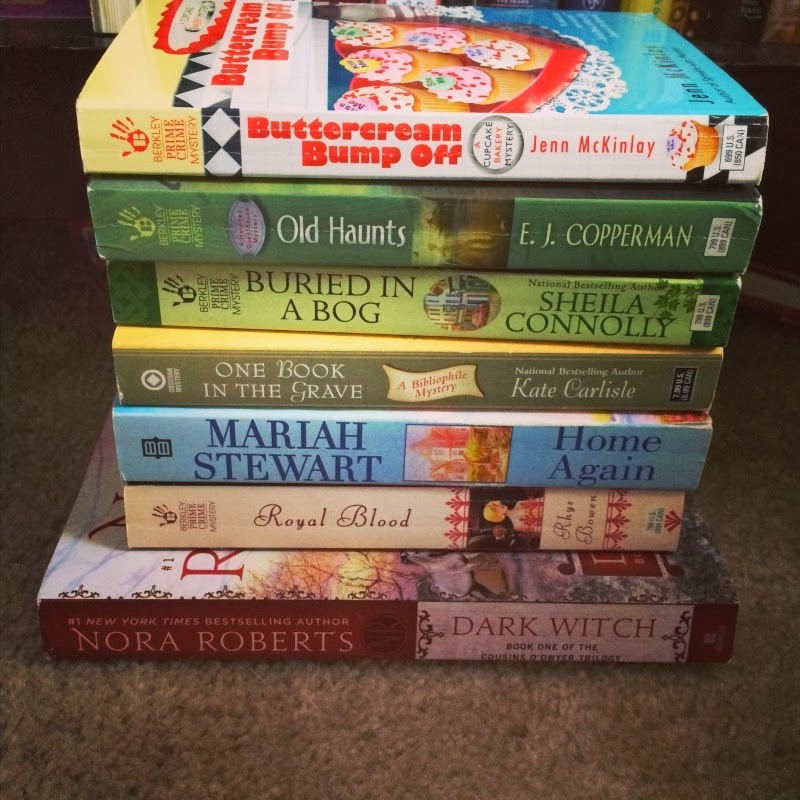 How many book clubs do you belong to? If you belong to an in person book club, do you have meetings in the day or evening? Do you meet at someone's house or meet at a local restaurant or coffee house? I used to belong to a book club when I belonged to a mom's group when the Tornado (now age 8) was a baby/toddler. We always met in the evening and at first we met at homes but than moved over to a local restaurant that was fairly centrally located. 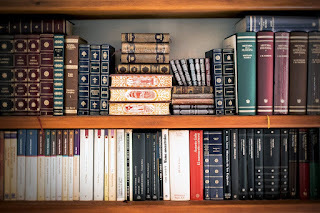 I'm considering joining one or two book clubs that are run by my local library branch and they meet during the day in the conference room of the library. This week's book is one that has been sitting on my shelf for far too long. I read the first Nora Gavin books years ago and loved them but had a hard time finding more to the series. 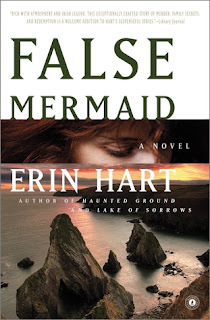 Than I kind of forgot about it until I stumbled upon the 3rd book - False Mermaid by Erin Hart - at a used bookstore and scooped it up immediately. I remember very little of the first two books but so far so good. Death was close at hand, but the wounded creature leapt and twisted desperate to escape. Well that's a little more brutal than I usually like to read! Heart still racing, she checked the locks on the doors and windows. Everything was secure; it was just a terrible dream. I can relate to this 56! I don't really have nightmares but I have been known to wake suddenly and go check all the locks. I'm thinking too many crime shows! 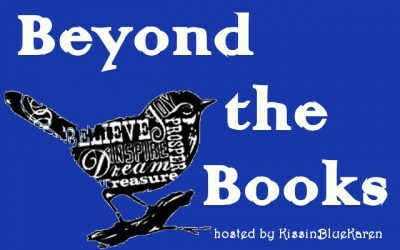 Today I'm participating in Beyond the Books hosted by Karen over at KissinBlueKaren. 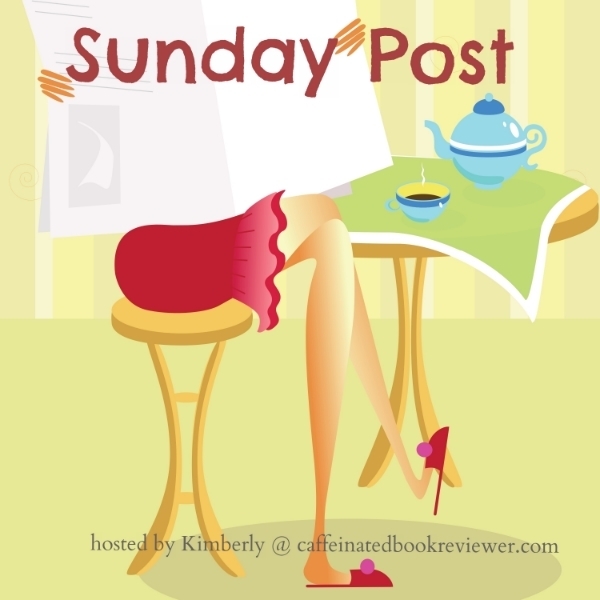 Each week there is a topic on the not so bookish front. Today's topic is what's in my purse. Now my purse isn't the most interesting but I thought I'd play along. The purse in question. This is my favorite fall/winter purse which means it's about to go into retirement for a bit. I love that it's the color is neutral though a little different and it's a decent size. The inside view. There are 2 main sections and a little zip up section in the center which I never ever use. There is also a zip up pocket on one side and little narrow open pockets on the other. Side 1 - Wallet which was a Christmas present to myself. It's a little big but it's so easy to find stuff in so I'm liking it. Hand Sanitizer from Bath and Body Works that smells a bit like apples and has a four leaf clover on it. I've had it forever and keep wondering if hand sanitizer goes bad but it still smells good so I'm guessing it's okay. A travel size tube of hand cream from Tocca in the Stella scent which smells all nice and orangey. Epipen because I decided to become allergic to goat's milk and shellfish in my late 20s. You wouldn't think goat's milk would be a problem but there is an unbelievable number of restaurants that use goat cheese in their salads. A little makeup bag that I got when I had an ipsy subscription. The bag has a few lipglosses, a lipstick and a used up eyeliner pencil. I desperately need to clean it out and refresh the contents. That's what's in my bag right now but if this had been a year ago there would've been about a hundred bits of paper containing lists and 2 year old receipts. I've been trying to keep it cleaner and so far so good though most of the bits of paper have ended up in the center console of my car. So what's in your purse? Or pockets? Or wherever you carry all the necessary stuff around day in and day out? Description: A deadly search for sour grapes . . . Unfortunately, there’s a sour grape in the town of Penn Yan who doesn’t care for vineyards. Bed and breakfast owner Elsbeth Waters complains to everyone who’ll listen that the local wineries are bad for her business. 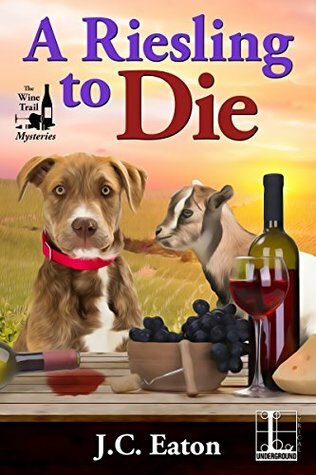 But when Elsbeth’s body is found on Norrie’s property, the victim of foul play, the screenwriter-turned-vintner dons a sleuthing cap to uncover the identity of a killer who told the B&B proprietess to put a cork in it—permanently . . .
Why I Picked This Book: I've really enjoyed the 2 books by this author in another cozy series and there was no way I could resist this one! 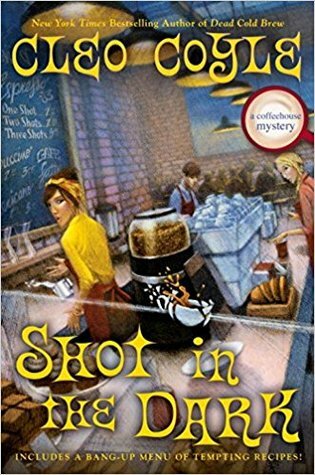 My Impression: The Sophie Kimball mysteries by this author is one of my absolute favorite series so far and became an auto-buy on book 1. When I love a series that much and the author comes out with a new series I'm always a little nervous. Can I possibly love a new series as much as the first one? In this case the answer is yes. Now granted the premise is a little bonkers. If someone, family or otherwise, asked me to do a favor on the scale of the one that is requested of Norrie I would stop answering the phone and go off the grid until they gave up. Luckily, for the reader Norrie is a much better person than I am and agrees to her sister's request - even after she sees just how complicated running the winery really is. I must say I wasn't too surprised (or unhappy) about the choice of victim as she's pretty awful right from the start. I do love a mystery where motives abound and the question really seems to be "Who didn't want to kill the victim?" and this did not disappoint. I found the mystery to be really solid with a conclusion that made sense which I always love. The pacing was excellent but what really made this a thoroughly enjoyable read was the well developed characters and setting. I'm not even much of a wine drinker but reading this made me want to book a wine country tour and gave me a whole new appreciation for just what goes into a bottle. I thoroughly enjoyed this cozy mystery and had a delightful time in New York wine country! More of this Series/Author? Absolutely! Eaton is becoming one of my absolute favorite cozy authors. Would I Recommend this Book? 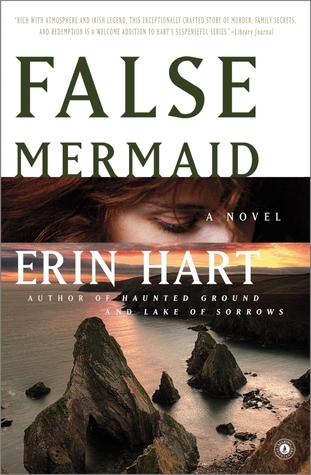 If you enjoy cozy mysteries this a must read mystery and author! This week's Top Ten Tuesday topic from That Artsy Reader Girl is Books That Take Place in Another Country. Now while I live in the US I'm also excluding any books that take place in England because my reading is probably equal parts US and England. I'm not excluding all of the UK or Ireland though. I'm also only focusing on fiction for this list. 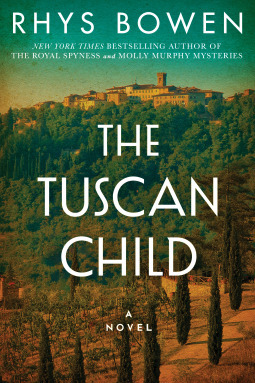 The Tuscan Child by Rhys Bowen - (Italy) While a small part of this book does take place in England the bulk of it takes place in the Tuscan country side either in the mid-1940s or early 1970s. 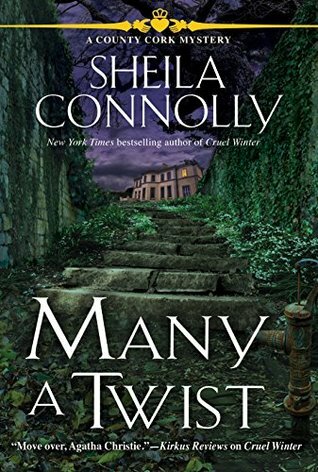 Many a Twist by Sheila Connolly - (Ireland) I love this cozy series about an American who ends up going to Ireland where her father and grandmother were born and becoming part of the tiny Irish village. 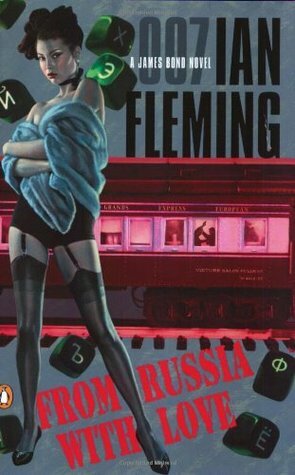 From Russia With Love by Ian Fleming - (Turkey) While Russia is technically in the title only a very small portion of the book actually takes place there. Most of the time Bond is in Turkey or on the Orient Express heading towards England. 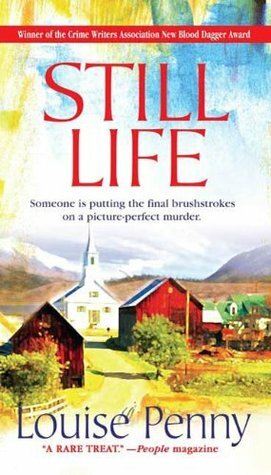 Still Life by Louise Penny - (Canada) I was surprised just how much I didn't know about the politics in Quebec. I was also really impressed with just much I enjoyed it! 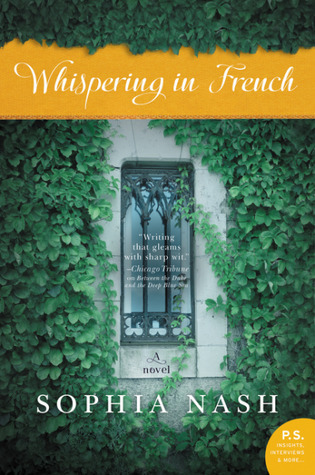 Whispering in French by Sophia Nash - (France) I loved that this was in the countryside of France and not in Paris where most of the books I've come across are set. It was especially interesting to see some of the hold overs from the old aristocracy and the politics in the small French village. 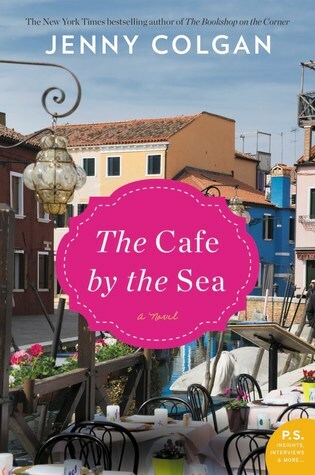 The Café by the Sea by Jenny Colgan - (Scotland) This takes place in one of the islands north of Scotland and the setting is so unique and really is a character itself in the book itself. 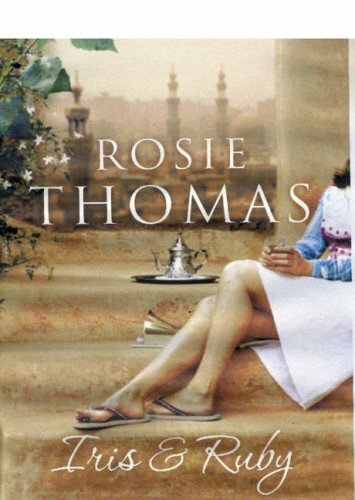 Iris and Ruby by Rosie Thomas - (Egypt) I really loved this dual timeline book which explored life in Egypt in modern day as well as in the 1940s as well as dealing with the healing of a young woman and the development of a relationship between a grandmother and granddaughter. 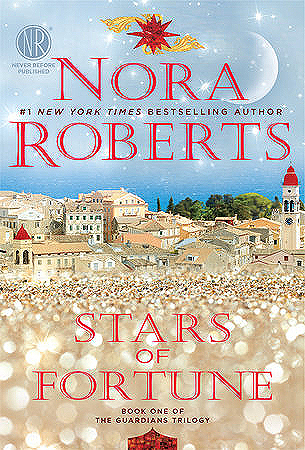 Stars of Fortune by Nora Roberts - (Greece) I loved this trilogy especially because each book takes place in a different location and in this one especially the setting is really brought to life. 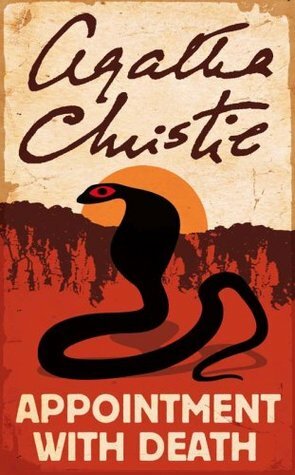 Appointment with Death by Agatha Christie - (Israel/Jordan) While Agatha Christie is thought to be the quintessential English author a number of her books take place in the Middle East - especially centered around archeological digs. This one is a little different as the cast of characters are tourists but it's a good read. 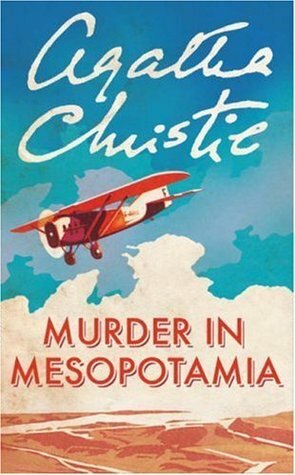 Murder in Mesopotamia by Agatha Christie - (Iraq) This mystery takes place in an archeological dig. Christie's 2nd husband was a renowned archeologist and she frequently accompanied him on his digs. It adds a nice authenticity to her books! What countries have you visited through books? Description: The moment spymaster Baron Fulkham meets the stunning Princess Anne of Chanay, he's positive her royal persona is a ruse and that she's actually Monique Servais, the mysterious actress he met three years before in Dieppe. But as he pursues his suspicions, he uncovers a plot of attempted assassination and betrayal that could very well destroy his career, expose his own secrets...and ruin the woman he's rapidly coming to love. Why I Picked This Book: I've been on a mystery kick lately and realized I was missing romance and Sabrina Jeffries is one of my favorites! My Impression: I'm not a fan of the fake identity trope. Usually the reasons for pretending to be someone else are silly at best and the reason for keeping up the charade are even sillier. However, I wasn't too nervous going into this because Jeffries has managed to make the "secret child" trope (which I HATE) not only work but make total sense so I figured fake identity would be easy for her and it really was! Monique is a wonderful heroine. She's smart, brave, good at her chosen profession and just trying to do her best. Her relationship with her grandmother is so sweet but also sad as her grandmother's dementia is getting worse leaving Monique desperate to figure out how to get her grandmother the best possible care. I loved her and I admired her and she was a character I really rooted for. Gregory took me a little bit longer to warm up to. He's much more reserved and arrogant. While his behavior is explained by his past and his profession his reserved nature kept me from feeling really connected to him for quite some time. I loved this pair together. Gregory is very dry and sarcastic with a tendency to be more than a bit blunt. Monique hold her own and puts up with nothing from him. I loved that his opinion on tragedy vs. comedy made her ranty even after quite some time had passed! They work well together as a team and I loved how equally matched they were. The political intrigue was fascinating and made me want to read up on just how Belgium was actually formed. While Gregory wasn't my absolute favorite hero I did feel like this was a couple that worked together on so many levels and I couldn't help but root for them. Sabrina Jeffries is one of my absolute favorite historical romance authors and this book did nothing to change that. She has a strong couple that really works together in a situation with legitimate conflict as well as fascinating bits of history. 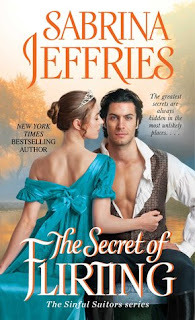 I loved spending time in the world Jeffries created and will be anxiously waiting the next book. Would I Read More of this Series/Author? Absolutely! Jeffries is a do not miss author for me. Would I Recommend this Book? If you love historical romance than read this book! While it does say it's book 5 there is very little to indicate it's part of a series so you can jump in here with no problem. A fairly quiet week here! Just 1 book. Listening: So I tried Poser by Claire Dederer but after about an hour I decided it wasn't really for me so I DNF'd it and am waiting my turn for the 3rd Louise Penny book. Watching: I've been watching The Voice and enjoying it. I love Alicia Keys as a coach. We just finished up the season of The Great British Bake-Off which makes me a bit sad but I just discovered that there is the version of Agatha Christie's Crooked House on Amazon Prime so that'll be watched next I think. This week was pretty crazy. We had the first big tornado scare of the season Monday which meant early dismissal from school and a lot of watching the weather. It ended up being a big nothing for my area which is definitely the right way to go! Then I had some school volunteering which ended up being a little crazier than expected. It was school picture day and the photography company insisted on having each child hold a little chalkboard with their name written on it. While it was really cute and not too much of a hassle for 2nd grade and up it was more than a bit challenging for kindergartners and 1st graders as there were only 2 volunteers and the teachers had to get the names written out for class pictures so they couldn't help. We finally got some 5th graders with nice handwriting and that saved the day. The big news is that Eleanor and her husband had their baby this week! I don't have pictures yet because it's been hectic and I didn't have time to grab any off my phone but he's adorable and everyone is doing great. I'm taking the out of actually being her stepmother which proves I'm not really a grandmother but I'm hoping to get in as much baby time and as much helping as I can! The Tornado (age 8) thinks being an uncle is pretty awesome. What are your plans this week? Happy reading! I love rereading but it's not something I do a lot of. I'm trying to make an effort this year to do some rereading and see if these books have retained their place on my Keeper Shelf. 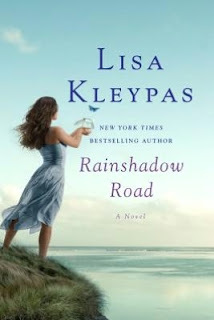 Today's book - Rainshadow Road by Lisa Kleypas definitely did! The premise of this one makes me nervous. Lucy has just been dumped by her live in boyfriend for her younger sister. The younger sister wants her and Lucy's parents to not be mad at her so she talks her new boyfriend into setting Lucy up with an acquaintance so that the parents can see that Lucy's moved on. Doesn't this just scream a huge conflict with Misunderstandings and Betrayals and Breaking of Trust? Except it doesn't because the acquaintance happens to be adorably geeky winemaker Sam Nolan and Sam has already met Lucy and likes her. So instead of going along with it and having it blow up in his face 100 pages from the end he goes straight to Lucy and says "Hey your terrible ex and crazy sister wants] us to date so that they don't look like awful people." and she rolls her eyes and that's pretty much the end of it. It's AMAZING what a little honesty can do in a romance! So besides that I also liked Lucy and Sam. Lucy is just nice. And not in a sweet sappy way but in a relaxed she'd be fun to go to lunch with kind of way. I really loved her friendship with Zoe and Justine as it feels very authentic and I loved the addition of Duane and the biker gang church. Sam is just a nice guy into science and Doctor Who and all things geeky. He's also completely devoted to his niece Holly who he is helping his brother Mark raise. There's more about the Nolan family than there was in the previous book - Christmas Eve at Friday Harbor - and what we learn makes it easy to believe that Sam is reluctant to become involved in a serious relationship. I loved how Lucy and Sam's relationship evolves. The emphasis on friendship and helping each other out despite the fact that they're immediately attracted to each other. I also loved how important it was to Sam for Lucy to follow her dream even if it meant things would be harder for him. I loved both the characters, the relationships that Sam and Lucy have outside of the relationship - Sam with his brothers and Lucy with Justine and Zoe- and I love how easily and wonderfully Lisa Kleypas pulled me into the world of Rainshadow Road. The only thing that didn't work for me was the magic aspect. I'm good with touches of magic and supernatural in romance but this was such a tiny element of the whole story it felt a bit random. Despite that one tiny flaw this definitely earned it's place on my keeper shelf and make me excited to read the next book (despite having read it several times before I couldn't resist putting it on hold at the library!) which is always the sign of a good series! This book is back on my keeper shelf and the authentic relationship and characters I love will keep it there! 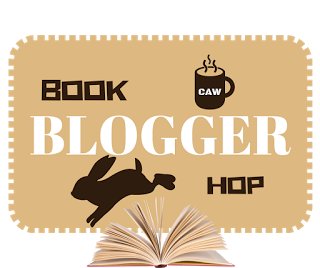 This Week's Book Blogger Hope Question:When meeting with friends, do your discussions usually turn to books? Not really. I don't know all that many people who really read and the subject doesn't really come up. 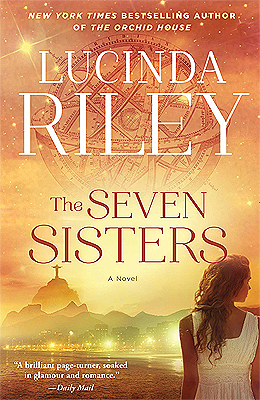 This week's book is The Seven Sisters by Lucinda Riley. I've been wanting to read this book since it first came out. I'm about halfway through and so far am really enjoying it. I will always remember exactly where I was and what I was doing when I heard that my father had died. This does seem like it would be a pivotal moment in your life so I can easily see this being the case. "Never let your fear decide your destiny"
I knew then that the seven words Pa Salt had left me could not described me and who I was anymore accurately. I'm not sure I'd really want to hear this about myself - especially if it was delivered by someone so close to me. Description: Russia, July 17, 1918 Under direct orders from Vladimir Lenin, Bolshevik secret police force Anastasia Romanov, along with the entire imperial family, into a damp basement in Siberia where they face a merciless firing squad. None survive. At least that is what the executioners have always claimed. Why I Picked This Book: I've always been fascinated by Russian history - especially this chapter of it and this is an author I've really enjoyed in the past. My Impression: I have fallen down the Anna Anderson/Anastasia Romanov rabbit hole a number of times starting when I first watched the Discovery documentary about the discovery of the mass grave back in the early 1990s. I've also read a few books on the subject including a book that focused on Anna Anderson. Needless to say this is a case that intrigues me quite a bit! This is a heartbreaking story. Neither Anastasia or the woman known as Anna Anderson had happy lives and Lawhon brought them to life with her incredibly well researched tale. 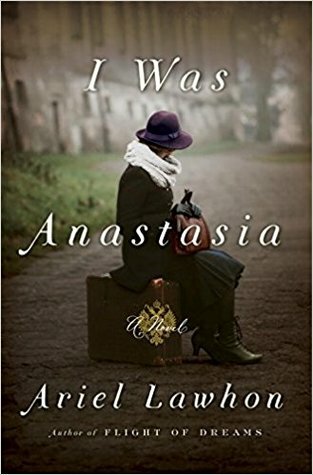 I could feel the pain of 17 year old Anastasia as her world completely explodes around her and the frustration and isolation of the older Anderson as she fights for recognition. Lawhon did a remarkable job bringing a complicated story to life and making it a compelling read. This is a story that I believe I know the ending to and yet that didn't keep me from becoming completely immersed in the book. While not the fastest read it's interesting, informative, heartbreaking and thoroughly entertaining. Would I Read More of this Series/Author? Absolutely! While I've read the first book by this author there is still one I have yet to read. Would I Recommend this Book? If you enjoy historical fiction I think you'll enjoy this book. Description: July 1831. It's been fifteen years since Sebastian Gage has set foot in Langstone Manor. 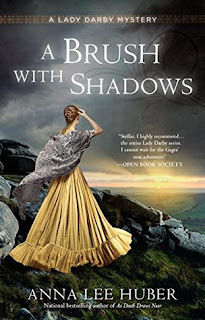 Though he has shared little with his wife, Lady Kiera Darby, about his past, she knows that he planned never to return to the place of so many unhappy childhood memories. But when an urgent letter from his grandfather reaches them in Dublin, Ireland, and begs Gage to visit, Kiera convinces him to go. Why I Picked This Book: I've been wanting to read this series for ages and this one sounded particularly intriguing. 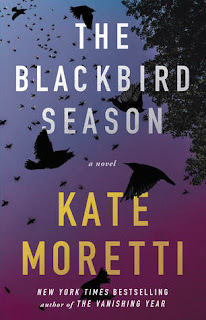 My Impression: This series has been on my TBR for quite some time but other than it being a historical mystery series I really didn't know all that much about it. Since this is book 6 I was a little concerned that it might be confusing but I really didn't find that to be the case. Both Kiera and Gage have some complicated and unhappy backstories but I felt like I was given enough information (without the dreaded info dump) to be able to become invested in the characters and caught up in the story. I'll start with the characters. Kiera is an interesting lead. In terms of logic, intelligence, and deductive reasoning she reminded me a bit of Laurie R. King's Mary Russell but Kiera is also a talented artist and is a bit more emotional (without being angsty). Her delight in her relationship with Gage as well as the couples' love for each other is wonderfully evident and adds a sweet note at times but isn't sugary. 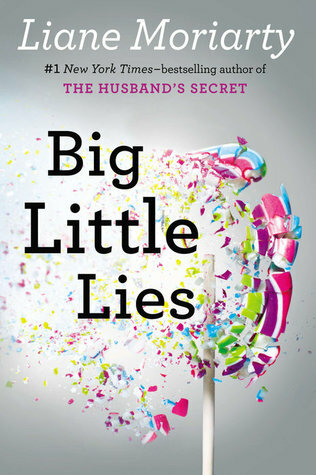 While Gage doesn't have the scandalous past that Kiera does his childhood was deeply unhappy and his relationship with his father is complicated and definitely not loaded with trust. These are two characters who needed each other and are both so appreciative to have found each other. The addition of Gage's valet and Kiera's maid adds the gossip from below stairs which frequently aids in the investigation as wells as a bit of humor as they most definitely have their own personalities and opinions. The mystery is deeply personal to Gage as it involves not only his estranged family but his maternal family home which he has avoided for fifteen years. The house itself had a very Rebecca feel with dark and narrow hallways and a hostile presence in the form of Gage's Aunt Vanessa - a more aristocratic and meaner version of Miss Danvers. The tension is palpable and right from the start neither the reader nor Kiera can really tell who to trust. Everyone has their own agendas and the secrets from the past are plentiful. While the house did remind of Rebecca the writing style did not. While I wouldn't say it's light and breezy it is fast paced and cleanly written. It drew me in from the start and kept me turning pages - partly to spend more time with Gage and Kiera and partly to find out just what happened to Alfred and what is lurking in the shadows of Langstone Manor. I expected to enjoy this one as I love historical mysteries, family secrets, and mysteries from the past but I was surprised by just how much I enjoyed it. Right from the start the characters felt real and I found myself just wanting to read "a few more pages". If you enjoy historical mysteries or mysteries in general this is a must read series! Would I Read More of this Series/Author? Absolutely! I'm looking forward to reading the first 5 books and will be anxiously awaiting book 7. Would I Recommend this Book? Definitely! If you enjoy historical mysteries - especially Laurie R. King's Mary Russell series or Jennifer Ashley's Kat Holloway series - than this is a must read. I had no problem jumping in on this book if you don't want to go back to the beginning. I remember a time, pre-blogging, pre-Twitter and other social media, and pre-Facebook, when authors seemed mysterious shadowy figures. The bio paragraph and the picture on the dust jacket was about all I knew about them. That's not the case anymore. Between Twitter, Facebook, Instagram, and all kinds of other social media so many authors are incredibly accessible. My Twitter feed and my book shelf have many of the same names which most of the time is absolutely amazing. I can see their progress on their current work in progress, learn publication dates and all kinds of bits of trivia about how they work or where their inspiration come from. It's fascinating. However, what also happens when authors step out of the shadows is that they become actual people - actual people with opinions and personalities. And sometimes I don't always love the person revealed. 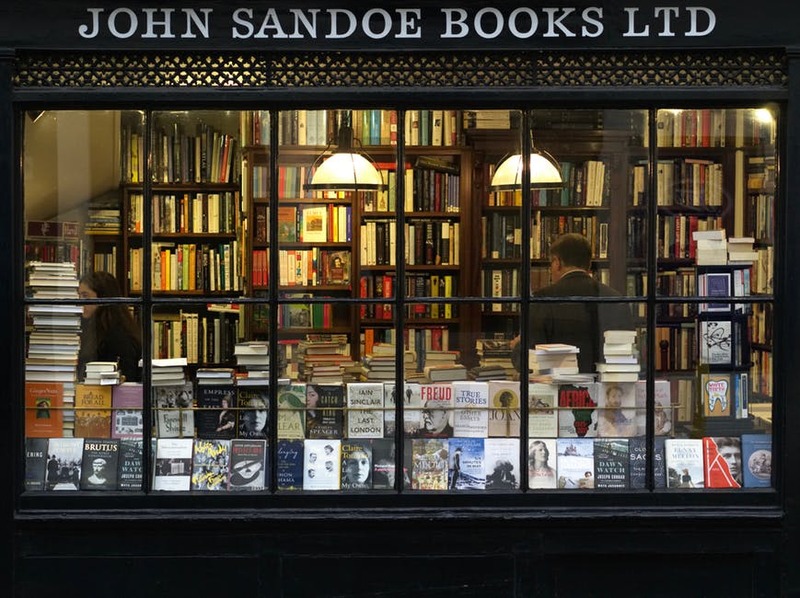 Now my question is - does not liking an author effect the readers enjoyment of the book? For me not really. There was a case several years ago when an author decided it was okay to essentially stalk a blogger and show up at her house after a bad Goodreads review. That'll probably keep me from picking up that particular person's books. I'll also hesitate if an author is mocking reviewers or responding to reviews in a negative manner. However, a mishmash of political views or personalities doesn't bother me. I might unfollow them on Twitter but if I like the book it'll be on my pre-order list just the same as if we were best friends. How do you feel about the accessibility of authors - especially when it comes to the negative side?